Hand to Hand Foundation’s Pre-School in Pattaya, Thailand continues to flourish thanks to the support of Queensland school partner Riverside Christian College, who recently received a visit from the Foundation’s Founder and Vice-President Margie Grainger. But this school-to-school partnership is anything but one-sided. Here are six ways the schools are supporting each other under the care of El Roi’s Children’s Tim and Ingrid Goetze! 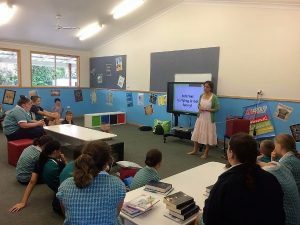 Margie Grainger held Cyber Safety classes for Years 6–12 students. 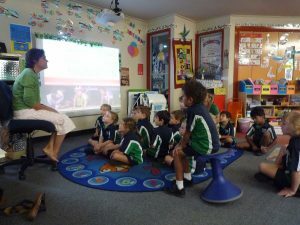 She also ran a class on Cyber Safety for the newest Christian school in Hervey Bay, Bayside Christian School. Bayside are also supporting El Roi’s Children’s Slum Scholarship program. 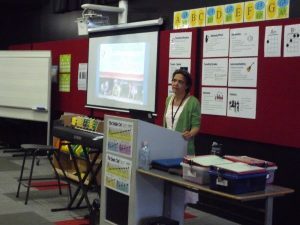 Margie also ran a cyber safety workshop for school parents. 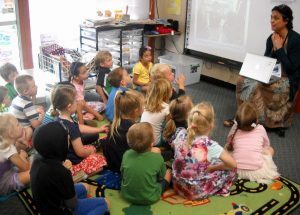 Margie shared the similarities and differences between Hand to Hand pre-school children and Riverside preppies, who contribute towards supporting three Hand to Hand children’s scholarships. Riverside Christian College raised $619 through a Free Dress Day for Slum Scholarships! 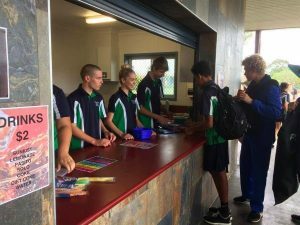 Riverside Christian College’s Year 11s raised $301 from the sale of cold drinks on the school’s Cross-Country Carnival Day for their chosen sponsor child, Arica. 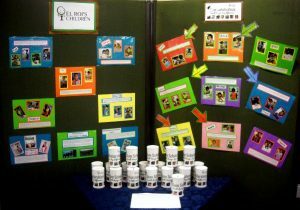 A display was put up in the Riverside Christian College library showing all the Slum Scholarship support that has been directed through El Roi’s Children and the students it has helped.